The website, Mediafugees, provides a place for migrants to tell their stories. They can describe their journeys and paths to integration using their own words. The goal is to give migrants a voice and challenge prejudice. Two classmates at Sciences-Po, Camille Teste and Nassim Sari, first came up with the idea in 2014 after visiting refugee camps in Lebanon. But it wasn’t until 2017 that they were able to develop the project, which was launched last April. "We realized that the media spends a lot of time reporting on migrants, but we talk about them without ever hearing their voices," says Sari, who spent two years as a social worker in a reception centre for asylum seekers. "We wanted to launch a platform where they could express themselves and tell their stories." Initially, Sari and Teste reached out to migrants on Facebook groups, with the help of Reporters Without Borders (Reporters sans frontières, or RSF) and the Maison des journalistes, which houses journalists in exile in France. The authors of the first submissions weren't paid. But now, contributors are paid a small sum for each article. "We are running on donations so we don’t have a lot of money but, thanks to our partners, we hope to start paying our journalists more soon," says Sari. The site is still in its early stages. 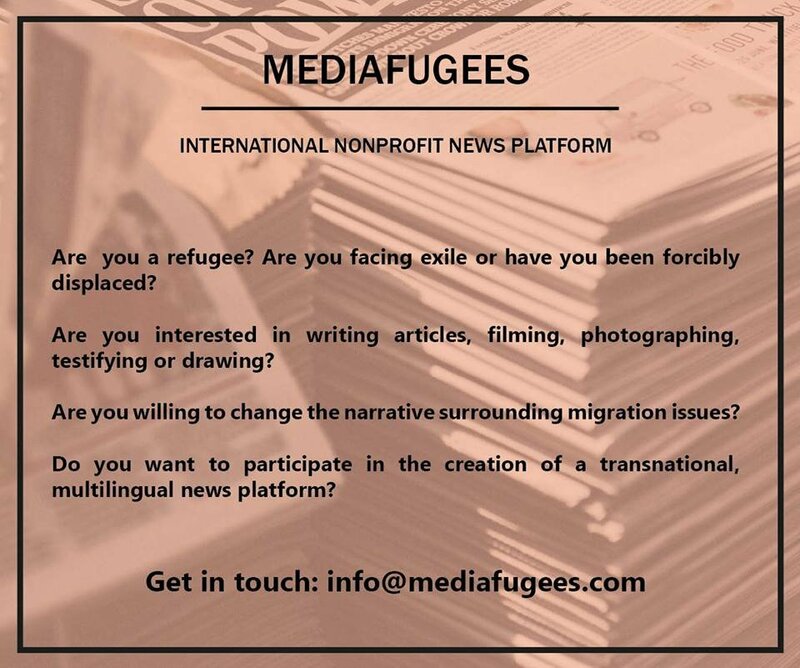 For now, Mediafugees is available in French and English but the founders want to add other languages, including Arabic. When the project is completely operational, Sari and Teste hope to hand over the editor role to refugees. "Migrants are seen either as threats or as destite," Sari says. "They don’t recognize themselves in these images and want to deconstruct these prejudices. It's is a media made for them so the aim is to let them run it 100 percent."